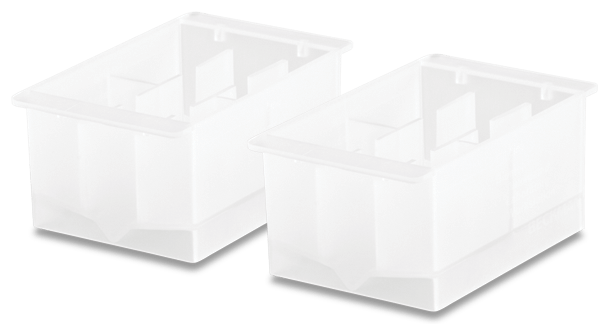 Holds liquids for pipetting with a manual pipettor or liquid handling systems, including the full suite of Biomek liquid handlers. Half reservoirs hold up to 75 mL of liquid and must be used with a frame. Each frame can accommodate two half reservoirs. All reservoirs are sterile and made of polypropylene. Nonpyrogenic reservoirs are also available. Do not use with 96 and 384 multichannel pipetting heads.